At first I certainly refused to believe the idea that some guys out there is able to juggle 3 Rubik's cubes while solving them. 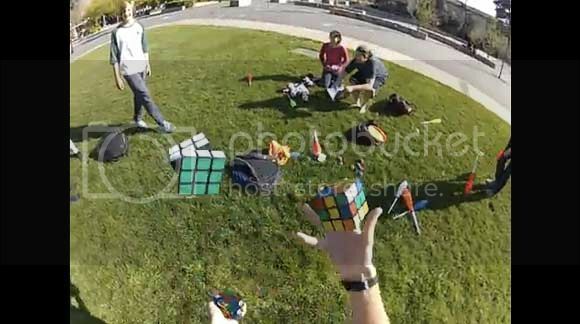 But after watching the clip I had to admit that somebody out there is better than the rest of us or might just have too much time on their hands to juggle and play with Rubik's cubes. Excuse me while I pick up my self esteem and jaw on the floor. Just go ahead and watch all the mind blowing juggling after the break.